PENSCO Trust Company is a self-directed individual retirement account provider. They offer opportunities for enhanced returns and protection against market volatility among others. In this article, we cover pricing. Ready to get started with PENSCO Trust Company? Visit their website. As of the date this article was written (01/04/19), there are no user reviews of PENSCO Trust Company online. If you are a past or current PENSCO Trust Company customer, leave a review to help others decide whether or not to use the company. PENSCO Trust Company does not publish their prices on their website, but other self-directed IRA providers similar to PENSCO Trust Company have pricing that starts at $50 for a one-time set-up fee and may include an annual fee that starts at $150. Ready to get started with PENSCO Trust Company? Visit their website. 8 Best Self-Directed IRA Custodians & Companies 2018 — In this guide, we compared the best self-directed individual retirement account custodians and companies in terms of investment options, fees, and customer service. You can open either a Traditional or Simplified Employee Pension (SEP) by signing up through PENSCO’s secure and easy online application. If you are looking to open a different type of account, visit the PENSCO webpage for more information. How can I pay for PENSCO services? The PENSCO Trust Company accepts three main payment methods: credit or debit card, a bank transfer from a checking or savings account, and a cash deduction from your existing PENSCO IRA account. Not sure if PENSCO Trust Company is the right fit for you? 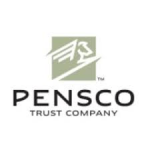 Read our reviews of all top retirement account providers or check out one of these three PENSCO Trust Company competitors. Want to Know the Top Retirement Account Provider?